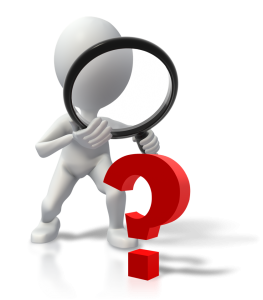 Home / Services & Products / How Would You Know if You Need a Dedicated Server? Shared hosting model is the most cost effective model for any startup which is ramping up on their operations and is at the initial stages of innovative idea. We can compare it to the stage of eggs in the life cycle of a butterfly. But as the startup moves up the ladder to the stage of a larva, the IT resources need to change drastically. As your web product grows and starts catering to a volume of traffic, your servers’ serving capacity along can have a huge effect on functionality of your website. 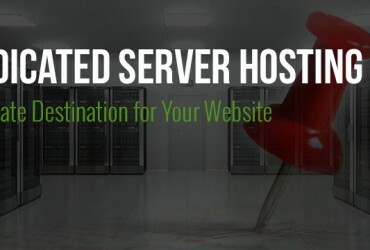 Dedicated server is definitely an important consideration for a website that has regular traffic of more than 1,000 unique visitors per day or at least a virtual private server (VPS). VPS hosting is again a stepping stone, and it may not be long before you need to switch to a full dedicated server. The server’s response to your users also depends on the number of processes that are running as a part of your web product. In simple words, the server load could be high because of the number of processes you are running, or could be high volume of traffic. In either condition, dedicated servers become a priority! Consider yourself a typical visitor to a website. You may not like to wait more than 2-3 seconds for a page to load before you hit the cross button on the top right corner of your page or you move to an alternate site. The extent of impact of page load time can be understood from the point that Google has added load speeds into the algorithms for search engine optimization (SEO). Shared services at times get into the situation of crisis where there could be periods that your site just won’t load or will load very slowly. The best prevention to this high impacting problem is to move to the cure of dedicated servers. 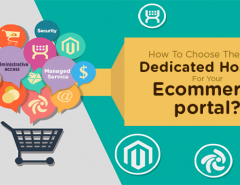 Security is a major issue when it comes to online business or a web product especially considering an e-commerce site. Then from selling anything online or collecting any sensitive data of your website visitors, security must be given paramount importance. Shared web hosting is quite susceptible to security attacks and breaches due to vulnerability factor that crops up due to shared resources of the server. Your site security is completely dependent on the security your hosting company can provide. Servers are number one targets for hacks, viruses, and other security breaches. The worst part is that in a shared server, you may not even know if your site has been compromised for weeks or months after a breach. In case of a dedicated server you will be majorly responsible to ensure the security of your server. There is nothing to worry if you don’t want to build a team of security experts as a lot of service providers offer managed dedicated servers and help you with security upgrades, software installation, and other server maintenance. Any innovative product comes with the possibility of custom programming needs. Custom programming options allow you to get the functionality you want for your website. This may involve running shell scripts, cron jobs, or any custom software. With a shared web hosting provider you are not likely to have a lot of custom programming options. Dedicated server environment provide you with a complete control over the configuration of the server and you can choose anything from what operating system to use, what hardware specifications you need, the software you want, and of course other custom programming options. Some startups wait way too long before making the switch to a dedicated server and the result is at times disastrous. A lot of operations issues crop up due to loops holes in the transition plan. One needs to take ample time to plan the transition and research dedicated hosting providers. One of the good indicators that it is a time to start thinking in the direction of dedicated servers is if you have experienced significant, steady growth for a reasonable period of time. Also when it comes to load balancing, by moving to a dedicated server you have control over the scheduling of all your jobs and processes to ensure the operational processes load is distributed effectively for optimal performance. Are you waiting too long for it? Any upcoming startup starts the very first version of the product on shared servers, one of the primary reasons being limited capital investment. 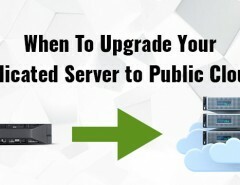 But having learned about when a dedicated server is needed will help you prepare ahead of time so you aren’t left fumbling at the last moment as businesses today run on tight ropes of competition. Make sure you assess your situation well! 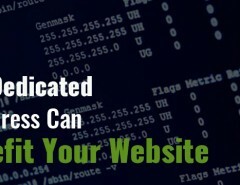 Previous Article How Does a Good Hosting Company Help Secure Your Website?